An orthographic decal is a decal projected onto a surface by means of orthographic projection. This decals are always of the same size regardless of the projection box location relatively to the projection surface. 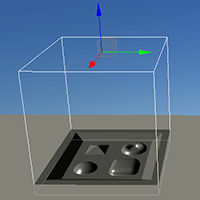 Orthographic projection is a form of parallel projection, where all the projection lines are orthogonal to the projection plane, resulting in every plane of the scene appearing in affine transformation on the viewing surface. 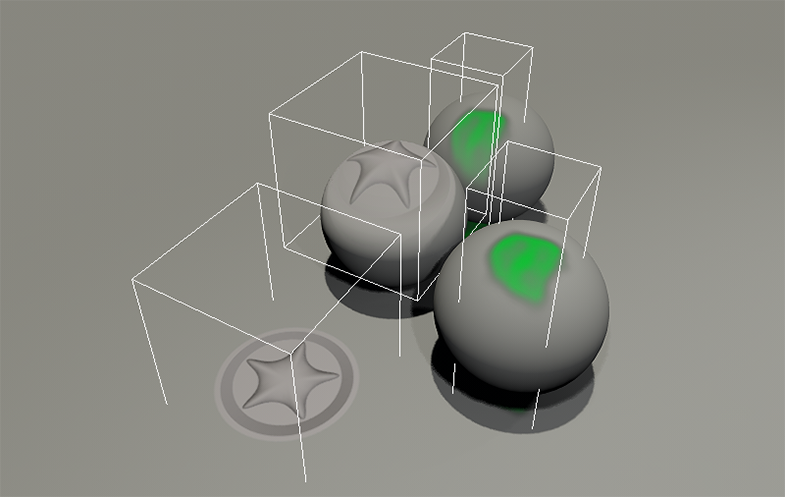 Orthographic decals are the most reliable ones as projected from a surface and cannot cause unexpected artifacts (as may perspective projected decals). 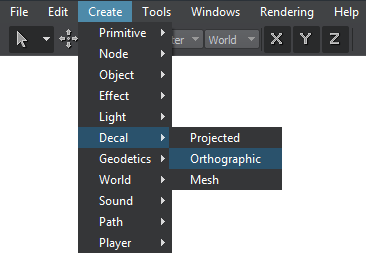 On the Menu bar, choose Create -> Decal -> Orthographic. 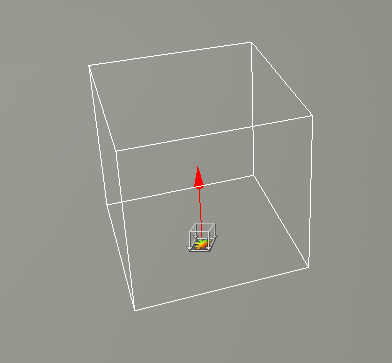 A viewport mask, specifying if the decal can be seen in the camera's viewport. 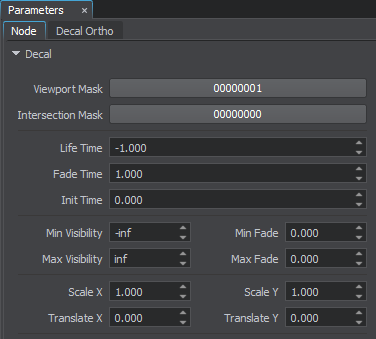 You can specify a shadow mask and a material mask in the decal_base material. The length of the projection box along the Z axis, in units. 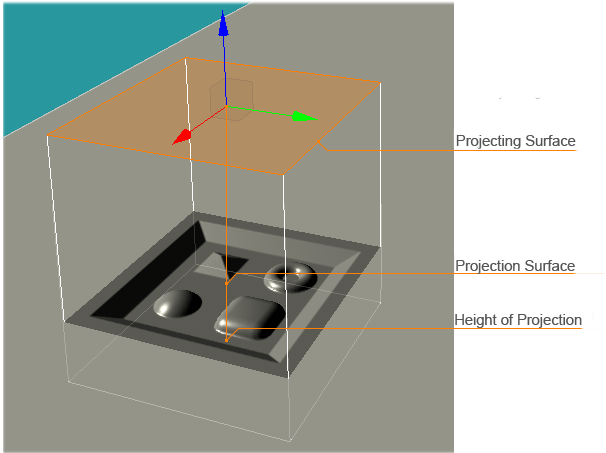 The second case shows that the decal is projected only if its projection box intersects the surface. The length of the projection box along the X axis, in units. The length of the projection box along the Y axis, in units. The value of the near clipping plane, ranging from 0 to 1. A time period during which the decal will be projected, in seconds. A time period during which the decal will fade away (after its life time exceeds), in seconds. A minimum visibility distance, starting at which the decal begins to fade in and then becomes completely visible, in units. A minimum fade-in distance, across which the decal smoothly becomes visible due to the alpha fading. It is counted starting from the minimum visibility distance value, in units. A maximum visibility distance, starting at which the decal begins to fade out until becomes completely invisible, in units. A maximum fade-out distance, across which the decal smoothly becomes invisible due to the alpha fading. It is counted starting from the maximum visibility distance value, in units. A texture scale along the X-axis. For example, by the scale of 2 the texture is repeated twice on one decal. A texture offset along the X-axis. 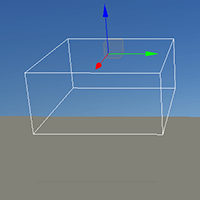 For example, by the offset of 0.5 along the X axis the texture is repositioned to the right (so that the edge of the texture is rendered in the center). A texture scale along the Y-axis. A new material of the decal.